Are you considering remodeling your Forest Grove Home? Uncertain of where to get started? Give Steve’s Home Improvement a call at (503) 342-8234 and we can help you with every stage of your project. One of the primary reasons homeowners start thinking about remodeling their home is so they make more money at the time of sale. The newest tendency is for larger remodeling investments as homeowners recognize the chance to increase their profits on return when they sell their home. Additionally, newly renovated homes usually tend to sell faster and for top dollar in contrast to homes with outdated kitchens and baths. Nonetheless a higher resale value is not the only reason why a homeowner would choose to upgrade their home. When faced with the task of looking for another home, many homeowners recognize that renovating their existing home may be a more pragmatic alternative. This might have to do with the recession, whose effects will continue to be experienced for a while. However, staying in your current home also has its advantages, particularly the fact that you avoid wasting time that you would have spent looking for a new home. When you upgrade your home you get to make it just the way you want rather than trying to come across what you want somewhere else. It is genuinely a less nerve-racking situation, and has a tendency to lead to more satisfaction. If you have a expanding family, your house has to grow with it. That is when remodeling is needed. It may be something as simple as requiring more closet space, or trying to find the best design to use the space you have now. After the kids move out empty nesters often decide to repurpose their kids rooms. With all the rebates and tax incentives, eco-friendly remodeling is also a new trend. It allows you to increase the value of your home while saving money on energy bills and reducing your impact on your environment. Many homeowners love their current location. For one reason or another you just need more room, or a better use of space. This is where a home addition, such as adding a garage or another bedroom, could let you to gladly stay in your present home while maximizing its market value. We use our decades of experience and creativity to meet your aesthetic goals as well as your practical needs. We will find the ideal balance of function and form. We assure each client the ultimate level of quality, integrity, and commitment available in the residential design-build industry today. We have strict standards of professionalism, and expect nothing but the best from our team. 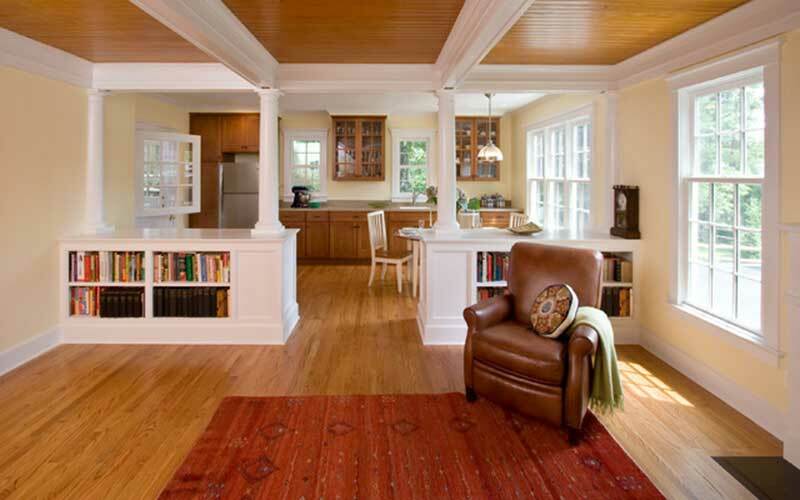 We will take care of every facet of your remodeling project from start to finish. Worn cabinets, dated appliances and cracked countertops are all indications that you may need to consider remodeling your kitchen, but there are many other reasons to upgrade your kitchen’s look. One major concern, for instance, is whether you are making the most productive use of your available space. While a gorgeous kitchen is nice, it should also be one of the most efficient rooms in the home. In order to attain this you have to take many different facets into consideration. For whatever reason the importance of kitchen lighting can sometimes be neglected. If you are not getting enough light you might consider moving the windows to allow more sunlight. 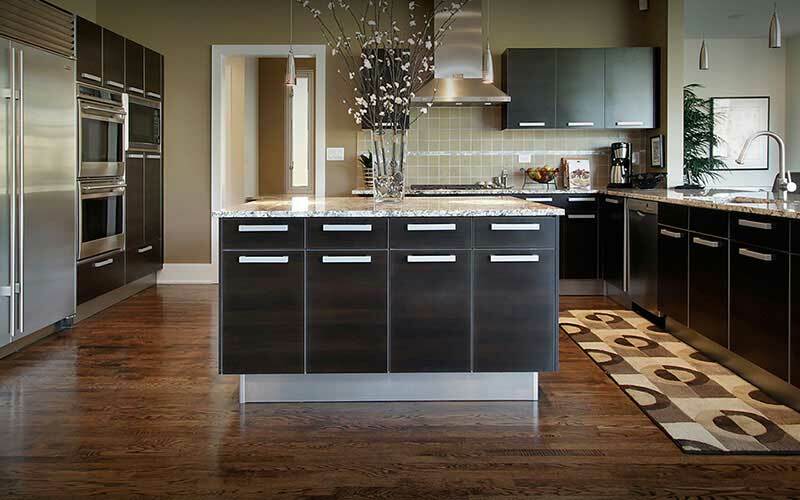 Kitchen remodeling would also be appropriate if you have children or are in the process of extending your family. Keep in mind that dated kitchen appliances and designs may be dangerous for young children. If you want to do more entertaining in your home you may discover that you need to update to a more open kitchen plan to allow greater social interaction between guests. You may also want to renovate your kitchen as you get older to make it less dangerous for you and others. According to realtors, the kitchen holds the greatest opportunity for swaying home purchasing decisions among prospective buyers. This suggests that remodeling your kitchen and making sure it is updated with the latest features could be the difference between a quick sale and a home that just sits on the market. If you decide to redesign your kitchen step one is to make a list of all the items that you want to fix, and their order of importance as well. Sometimes due to budgetary concerns you cannot make all of the changes that you want to make that is why you need decide beforehand which things are a priority. In the last few years the tendency has been to live in the same house for a lot longer. This has resulted in bathroom remodeling being more common not only for visual appeal, but for functionality. Staring at the same dated look, and cracked tiles first thing in the morning day after day can ultimately get to anyone. On top of that, broken fixtures and anything else that leaks water can result in bigger trouble such as mold, and that is something you certainly don’t want to deal with. Potential buyers place a lot of significance on a remodeled bathroom. This means that spending money on bathroom remodeling could really help your home close faster, and in most cases, you also get to recoup a good portion of your original investment. On the other hand, resale value is not the only reason to renovate your bathroom. You may have no plans to move, but simply want your own quiet space. When you want to unwind from a hectic day a custom built shower or bath tub can have a huge impact on your ability to relax. 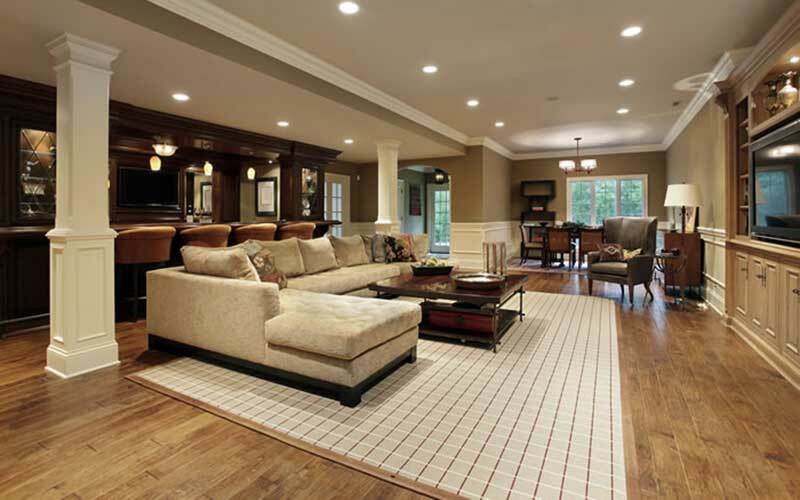 The term unfinished basement has become synonymous with squandered space. If you are lucky enough to have a basement you really should try to make use of it. 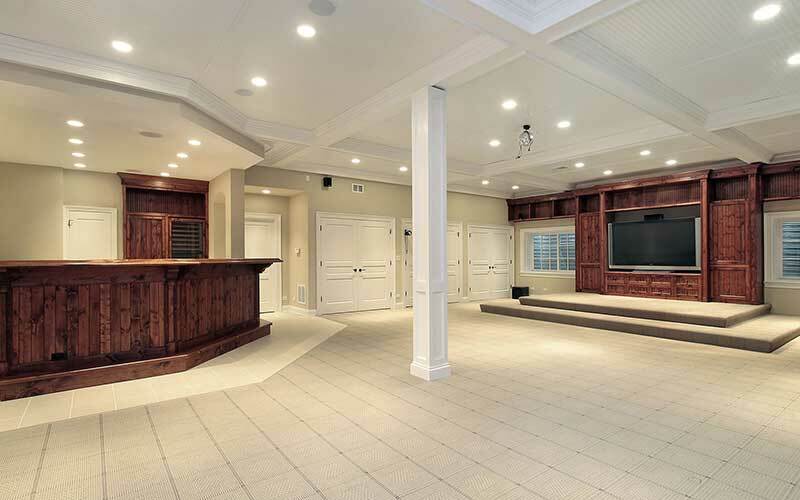 Because it is very often left undone, actually finishing your basement can have a huge effect on your home’s value and attract more potential buyers. The possible functional and creative uses of your basement are infinite, and in comparison to other traditional rooms in your home, the basement offers the greatest usage variety and can even be utilized as a multi-purpose area. There really is no justification for letting your basement go unused. Basement remodeling can be a daunting task because in many cases it involves a lot of processes including plumbing, electrical, HVAC, drywall insulation and flooring. This is why, when it comes to basement renovation as with all major remodeling projects that you should only work with established remodeling contractors. Even so, this is one of the best kept secrets in space expansion and results in significant advantages from a financial standpoint as well as enhancing your quality of life. When renovating your kitchen or bathroom, you should target the features that will give you the best value for your investment. Your countertops are one such element, and the good news is that they are offered in as many materials, colors and finishes as you can imagine. Some of the most popular countertop choices that you could go for include granite, glass, butcher block, wood, cambria, marble, corian, concrete, laminate and soapstone. You can make your countertop choice much less difficult by considering a number of aspects, including durability, clean-up and maintenance. Having said that, you have to balance the overall performance of your countertops with visual appeals. Your countertops have to fit into the all around design style of your home. Once you have found the balance between function and form, your final decision is with regards to your remodeling budget. For instance, we can all agree that marble countertops are simply gorgeous. However, because of the premium price point they may not fit into every remodeling budget. Granite is a close second, while concrete and wood offer much more budget friendly yet naturally handsome alternatives. Your home is one of the most important investments a person ever makes. A professional remodeling contractor will not only help you get the most value for your money, but will also ensure you enjoy peace of mind throughout the renovation process. As professional remodeling contractors with years of experience we will assist you with all aspects of your remodeling job, from design to implementation. If you have a renovation project in mind, Steve’s Home Improvement is here to handle all aspects from design to execution. We are proud to serve Forest Grove and the surrounding community. We have the experience and skills to help guarantee your home renovation project is a success, and will offer any advice you may need when making the complicated decisions that could make all the difference in giving your home a vibrant new look. 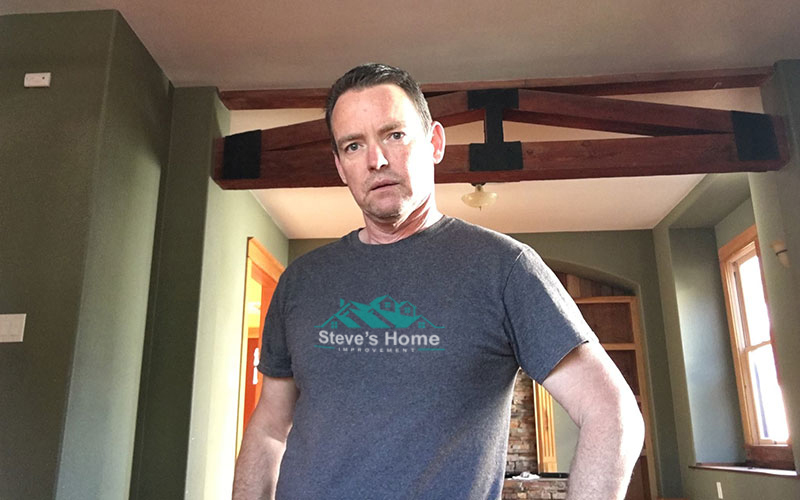 Call (503) 342-8234 and let Steve’s Home Improvement handle all of your Forest Grove home remodelling needs.